Literature and film have always wined and dined with each other but many a time it has turned out to be not such a successful marriage. With an individual’s imagination always being unique, it can be hard for one director’s vision to match the mass difference in expectation. Jack Kerouac’s On the Road is about as much loved a book as you are ever going to find. It is the quintessential book of the “beat generation”, a phrase coined by Kerouac himself. The classic has been bought, read and dog-eared across the globe for over half a century. Now with the help of director Walter Salles the world gets to go on the road through the safety of your local darkened cinema. 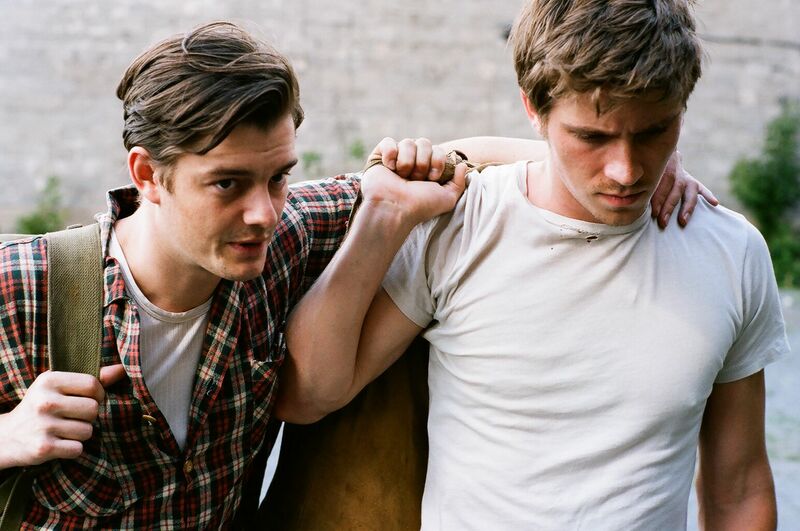 On the Road is the story of the destructive but symbiotic friendship between Sal Paradise (Sam Riley) and Dean Moriarty (Garrett Hedlund). Sal is the alter ego of writer Kerouac who writes of his real life experience through 1947 to 1950. After a debilitating sickness and a breakup, Sal reaches and emotional turning point in his early twenties. He now desires more from life. To be fueled by people with passion in their hearts. People that he describes are “mad to live”. This is how he meats Dean. Together with his friend Karlo Marx and Dean’s girlfriend Marylou (Kirstin Stewart), they embark upon a series of travels across America. Travels that will reveal a deeper truth than the one they wanted or expected. The change of any human from youth to adult is the most pivotal and emotional transition in ones lifetime. Of the main actors cast to portray this, Sam Riley really is quite believable as Sal. His performance is quiet yet he manages to ground the piece well. You can see the interest behind his eyes throughout the film and he remains a good choice to play Sal. Kirstin Dunst portrays Camille, who is another open-heart follower of Dean Moriaty. She puts in a suitably fragile performance, as does Tom Sturridge as Carlo Marx. The film is greatly let down by Hedlund and Stewart as Dean and Marylou. The two characters supposed to bring the most fire and unpredictable behavior to the work, are the two actors weighed down by the worst of the casting decisions. With their acting history ranging from Twilight to Tron, these two anchor the piece in MTV pouting and detract from the fine performances of the entire supporting cast. With believable work from Viggo Mortensen, Amy Adams and Steve Buscemi their lack of ability is even more obvious. They detract from the film in a large and typically disappointing way. 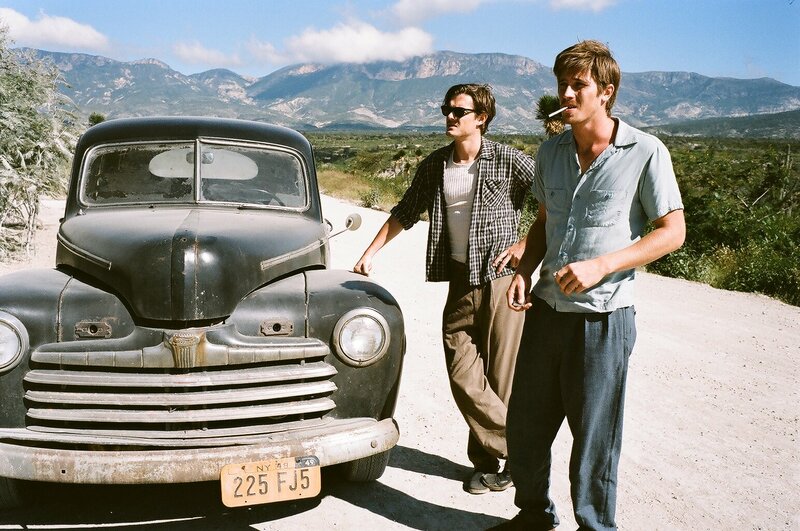 On the Road is shot on location, adding a beautifully authentic and rich atmosphere to the piece. The production design is accurate and detailed. It is a joy to listen to the music played throughout. Also hugely enjoyable is the cinematography. The film is shot wide when on the road and closely intimate when the script requires. 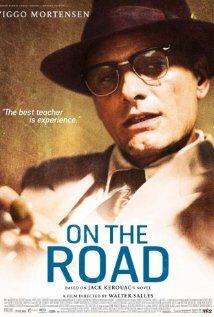 On the Road looks marvelous in the cinema and should be experienced that way by lovers of the book and cinema alike. Salles direction is tight and the storyline keeps to the book in wise fashion. All this does over ride the bad casting decisions, but it is unfortunate that it even has to. Such a loved story is bigger than the time period it is shot in, and the film would have benefited greatly from the casting of unknown actors. Fans of the book and the time period will love On the Road. It’s a film with an enticing beating heart and a lovely visual palette. The relaxed pace at which the piece is directed while still obtaining a strong undercurrent of emotions at play, are the strongest factors of the film. This in a lovely way is also keeping accurate to the experience of reading Kerouac’s book. On the Road is a slow, emotional and beautifully made movie. Not entirely perfect but well worth the trip.